This was just too funny not to share with you. 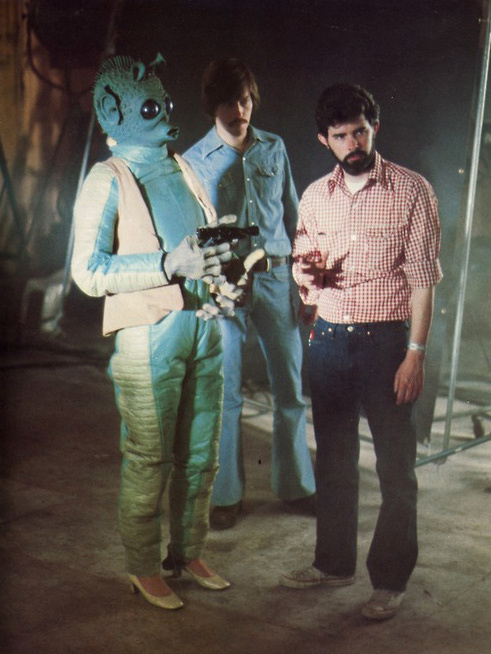 It's a photo from the set of Star Wars with George Lucas directing Greedo who happens to be wearing some uncomfortable and ugly looking high heels. My view of Greedo is now completely changed. I'll never watch Star Wars again without thinking that Greedo is wearing high heels.